Sonam revealed on Arbaaz Khan's show Pinch that her Veere Di Wedding co-star Kareena is on social media for sure, under a pseudonym though. She is the sacrosanct of all things stylish. Her movies have always been entertaining and education in equal parts. The ultimate fashionista, Sonam Kapoor Ahuja, was the recent celebrity to appear on Arbaaz Khan’s chat show Pinch. The Veere Di Wedding actress joined the likes of Sonakshi Sinha, Varun Dhawan, Karan Johar and co-star Kareena Kapoor Khan. During her visit, Sonam made quite a revelation about Bebo. The debate about whether Kareena is on social media or not is unending. The actress admitted to stalking other celebrities but never reveals her identity publicly on social media. However, putting all speculations to a stop, Sonam told Arbaaz that she knows for sure that Kareena is very much on social media. 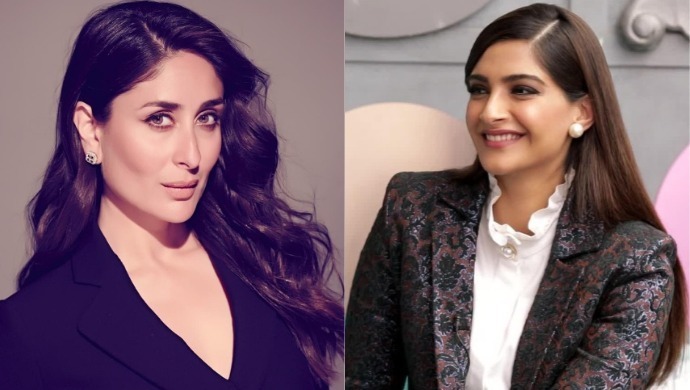 “I know for a fact Kareena is on social media,” said Sonam. She further added that Kareena uses a pseudonym though. During her appearance, Sonam spoke about body-shaming and trolls on social media. “Till I was a certain age, I was called Giraffe because I was too thin. And then I gained weight, then I had a hard time with my weight. Sometimes, you don’t put on weight, then people are like, “Oh my God, itni patli hai, so thin” blah blah blah. Especially when you come from Punjabi family, and they feed you so much you gain weight, then they are like, “bahot moti ho gayi hai, kaali ho gayi hai, lambi ho gayi hai, shaadi kaun karega?” It’s not healthy, it’s not correct, it’s not mentally okay. People go through so many mental health problems, you can’t do that to people,” asserted Sonam. Sonam has always enjoyed a moment with and in the media for her no-holds-barred attitude. The actress never minces a word, and carries her sorry-not-sorry self on fleek! As for Kareena being on social media, what do you think – is she or is she not? Comment with your replies in the box below. Catch Sonam Kapoor Ahuja’s episode of Pinch on ZEE5 now!